New Grace Digital Encore Wireless Speaker & Internet Radio. (GDI-EGP100 EcoPebble. Wireless Waterproof Bluetooth Speaker. Bluetooth Speaker. Did not test the waterproof function :). Below you will find lists of condition problems we check for. Accessories included. The EcoPebble Lite by ECOXGEAR is our most compact portable audio solution with Bluetooth connectivity, a 7-hour lithium ion battery, and waterproof design that floats. The EcoPebble Lite is the ideal compact speaker for all your adventures. An item that has been used previously and working condition. Bottom line: The Mini-Bullets II 900 MHz Wireless Speaker System combines the ease of a portable stereo playback system with wireless capabilities. So I count this one as abest wireless speaker on that budget. Bluetooth 4.2 streams audio wirelessly from up to 100 feet away via your Smartphone, tablet or any Bluetooth enabled device. - EcoConnect compatible - pair two units together for stereo sound. SKU: GDI-EXDRFT210KIT-TD. This was an extra that I forgot I had. Everybody loved it. and it floats. Great for Camping, Boating, Just floating etc. 100% waterproof and dustproof. 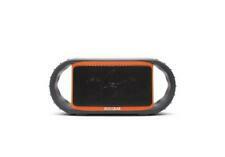 EcoBoulder Rugged and Waterproof Wireless Bluetooth Speaker. New with original power cable. Model: Ecoxgear Ecoxbt. Who knows where your next adventure will take you?. One thing's certain: your music will follow you there. This speaker is designed to travel anywhere and everywhere you go. Tote your sound around with the two handles or carry it hands-free with the carabiner clip. Waterproof Portable Speaker Case Grace Digital. Condition is used. No matter what. We're here to help! • Loud 5W speaker with 360° sound. •- IP67 Waterproof / Shock Resistant. • Siri and OK Google compatible. • 180° of 360° Light patterns with 5 brightness settings. • Fast Charging USB Out Port (2.1A). The Grace Digital Encore is the perfect combination of a stereo Wi-Fi speaker and internet radio. With an integrated class digital amplifier and custom stereo speaker drivers and bottom facing subwoofer you will appreciate the warm bass and crisp highs coming from a beautiful radio wrapped in a beautiful classic veneer cabinet. EcoPebble LITE orange grill waterproof 3W speaker 500mAh battery Bluetooth 4.1 waterproof. EcoPebble Lite Speaker System. Product Line EcoPebble Lite. Subwoofer Type Active. Product Type Speaker System. A couple of minor nicks and smudges here and there but otherwise in VG condition, Tested. Hook for clipping. Model Number: EXPB2102. Manufacturer Part Number EXPB2102. Product Model EXPB2102. Manufacturer: GRACE DIGITAL AUDIO. Manufacturer GRACE DIGITAL AUDIO. 5W speaker. Weight (Approximate) 1.05 lb. in 3.5mm jack. The ECOPEBBLE Lite by ECOXGEAR is Grace Digital's most compact portable audio system. It provides full-range sound while only being half the size of the ECOPEBBLE. Hands-free speakerphone microphone. This is the Grace Digital Audio portable, waterproof speaker. Model #GDI-AQCSE101. Plug your phone or IPod into speaker, lock case. Takes 3 AA batteries (not included). ECOSTONE, by Grace Digital is part of our ECOXGEAR line of products. Waterproof, wireless, and Bluetooth capable, the ECOSTONE is an all-in-one stereo system perfect for wet or dry outdoor activities. ~ Superior Sound. ~ Water/Sand Proof. Whatever the reason we have you fully covered. Rest assured you are in good hands. Hawaii, Alaska and Protectorates may take longer. We personally respond to every inquiry and provide utmost service to ensure that your buying experience is hassle-free. Condition is New. The ECOPEBBLE Lite by ECOXGEAR is Grace Digital's most compact portable audio system. It provides full-range sound while only being half the size of the ECOPEBBLE. Hands-free speakerphone microphone. All item(s) for sale have been tested and are in working functional condition. All pictures taken are of the exact item and not stock photos. All sales are final so please ask questions before bidding. 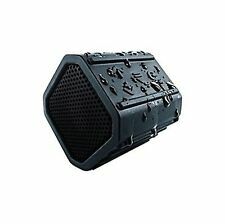 Grace Eco Extreme Digital Audio Waterproof IPX speaker case. Condition is Used. Shipped with USPS Priority Mail. This speaker is ready for YOUR adventure. Bluetooth Waterproof Wireless Speakers Grace Digital Audio LED Indicators ORANGE. High performance stereo bluetooth speakers. Wireless audio streaming from any bluetooth device. Model Number: EXLTN400. Manufacturer Part Number EXLTN400. Product Model EXLTN400. Manufacturer: GRACE DIGITAL AUDIO. Manufacturer GRACE DIGITAL AUDIO. Fast Charging USB Out Port (2.1A). Loud 5W speaker with 360° sound. Whatever the reason we have you fully covered. Rest assured you are in good hands. We personally respond to every inquiry and provide utmost service to ensure that your buying experience is hassle-free. The ECOCARBON is the answer for those looking for wonderful sound in a go-anywhere speaker. Play the music you love wirelessly via any smartphone, tablet, or computer up to 33 feet away (distance may vary). The ECOCARBON is a 100% waterproof, wireless aptX Bluetooth speaker system and your perfect portable music solution. iPhone Devices. Android Devices. 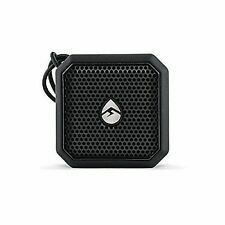 waterproof bluetooth speaker (black). Condition is New. Shipped with USPS Priority Mail. Product Model #: EGCBM. Product Model # EGCBM. Manufacturer Part Number: EGCBM. 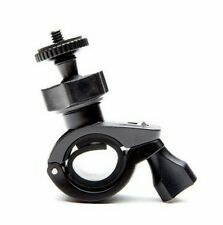 Grace Digital Vehicle Mount for Speaker. Compatibility: Grace Digital Ecoxgear EGOXBT Speakers. Manufacturer: Grace Digital, Inc.
• Connect smartphones and other smart devices via Bluetooth. • Rugged, floating Bluetooth speaker. Storage Capacity: 16 GB. Product Type: Flash Drive. • Aux-in 3.5mm jack. 100% waterproof and dustproof. 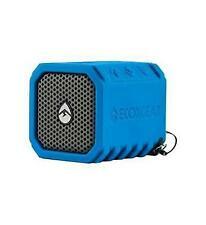 EcoBoulder Rugged and Waterproof Wireless Bluetooth Speaker. Product Line EcoBoulder. Product Type Speaker System. Subwoofer Type Passive. RMS Output Power 100 W. Wireless Speaker(s) Yes. • Drop the EcoBoulder in your pool, lake or ocean, no worries – it floats. • 3-way speaker system with 8" full range 8" rear woofer 3" tweeter. • Bluetooth 4.1 streams audio wirelessly from up to 100 feet away via your Smartphone, tablet or any Bluetooth enabled device. • 5W speaker. Storage Capacity: 16 GB. • EcoConnect wireless pairing. Product Type: Flash Drive. 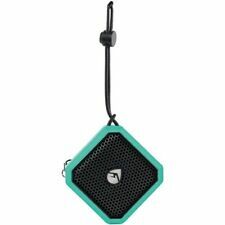 Grace Digital Audio Explt502 Ecolite Waterproof Speaker in Blue. Condition is New. Shipped with USPS Priority Mail.